New website. New shop. New studio. NEW WORK. I’ve revamped my website with a fresh look, and set up an online store along the way. I have also moved to a wonderful studio in Haggerston. Frederick Studios was formerly a clothes factory making Burberry garments amongst others, and now houses a bunch of creatives, including me! More work coming soon, meanwhile here is a snap of a recent commission for Das Magazin, a weekend supplement to Swiss newspaper Tages Anzeiger. 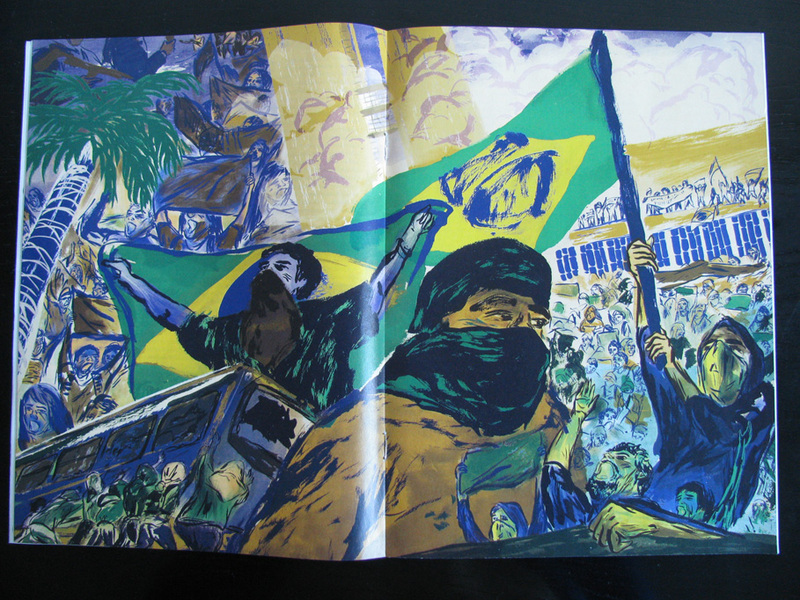 The article explores the recent issues concerning the Brazil protests. Thanks to Frauke Schnoor for this piece.